Dream, Create, Inspire: Lee's Da Man! He did it! 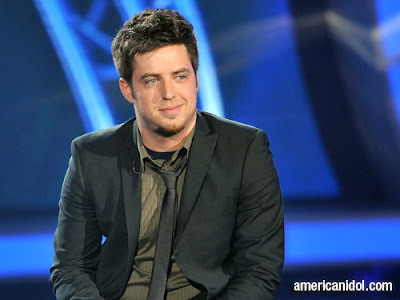 Our very own local guy, Lee DeWyze is the newest American Idol! How exciting to watch this talented guy blossom week after week and then win it all in the end. And a BIG shout-out goes to Crystal Bowersox as well - she absolutely rocks and is going to be a huge success too with her distinctive vocal styling. I think this has been the best season of all time on AI. Now back to our regularly scheduled art blog. . . . I just wanted to send HUGS out to all of you who visited our Joli Paquet blog this season. We had so much fun sharing all our kits and tutorials with you and are ever so grateful for all of your support. We're taking a break for the summer but be sure to check back with us in the fall for an all new season of exciting creative projects. Since day one I said that Crystal was going to win. Then two weeks ago I said I thought Lee might be the one instead. Either way, I was happy for them both!!! I think they both have wonderful music careers ahead of them! that is awesome...congrats to your home boy Lee!!! Have I ever commented here before? I have a terrible memory, but I have come for several visits! Love your blog! I only caught the last two night and was voting for Crystal but i sure thought your home boy could belt it out. Loved last night! What fun! And I missed Jolie Pacquet. I think I love under a rock!!! I watched every episode with my daughter. And in the end, it was hard to pick a winner since they're both so talented and charming. I loved Lee, but was a little surprised he won over Crystal. I guess just because she had been sooo good all season. Lee seemed to have improved dramatically there at the end, and I do think he will have a promising career. Crystal and Lee were my favorites from the very beginning so I didn't really care which one won. I think they will both do great. Now, time for "So you think you can dance" and "Big Brother". Love those shows.